Every home is a complex energy system - from hot water and air conditioning, to cooking, lighting, heating, refrigeration and entertainment. 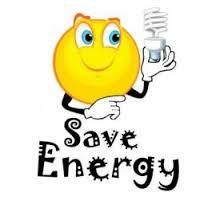 Energy management - the efficient use of energy - is often the result (or a part) of sound energy conservation practices. But conservation alone does not always reflect good energy management, especially where electricity is concerned. Because alternating current (AC) electricity can’t be stored, the time when it is used becomes important. For example, using electricity during off-peak hours does not conserve electricity, but is a wise management of this energy resource. According to the U.S. Council for Energy Awareness, the average family spends about $2,000 to $4,000 each year directly for energy. By applying the following energy guidelines and appliance-use tips, you could easily save big bucks annually. With the uncertainty of sufficient oil supplies, you may be searching for other means of heating your home. There are several affordable electric alternatives. Electric Thermal Storage or ETS works like a thermos, allowing the storage of heat until needed. Heated with low cost off-peak electricity, the ETS unit releases this stored heat whenever needed to maintain the level of comfort desired. During off-peak periods, electric heating elements surrounded by heat storage bricks are energized. The bricks, along with the super-efficient insulation, help to keep the heat inside the unit. The room’s thermostat controls a small fan located inside the heater. When the thermostat calls for heat, the fan draws cool room air into the unit, circulates it around the heated bricks and returns it into the room. There are also a variety of heat pumps. A heat pump is a mechanical device that can transfer heat. In the winter, it transfers heat into your home; in the summer, it takes heat out of your home. An air-source heat pump uses air to move heat from one location to another. In the summer, an air-source heat pump works like an ordinary air conditioner, extracting heat from inside your home and pumping it outdoors. In the winter, it reverses itself and pumps heat into your house. That’s because even very cold air contains heat. For example, 0 degrees Fahrenheit air still contains 89 percent of the heat that 100 degrees Fahrenheit air does. A ground-source heat pump works just like an air-source heat pump, but uses a transfer fluid to move heat. Ground-source heat pump systems have the greatest potential for efficient and economical operation since ground temperatures remain fairly constant most of the year. There are two types of ground-source heat pumps: A groundwater heat pump uses groundwater; an earth-coupled heat pump uses a sealed loop of buried pipe containing a water and antifreeze solution. A dual fuel system is a combination of a heat pump with an oil, gas or ETS furnace as a back up. A house is heated by the heat pump alone until the outside temperature drops below a certain level or a peak electrical use period occurs. At this point, the heat pump automatically shuts down and the furnace kicks in. This arrangement allows each fuel source to take advantage of its most efficient characteristics. In the average American home, the water heater is the second biggest energy user, accounting for about 15 percent of the energy you use. Even so, electric water heaters are by far the most efficient water heating devices available. Water heaters have adjustable thermostats. If you have a dishwasher without its own water-heating element, 140 degrees Fahrenheit is needed. But be careful of scalding at this temperature. If your water heater only services bath and kitchen needs, 110 degrees Fahrenheit will work. On older water heaters with less insulation, for every 10 degrees Fahrenheit you lower the temperature, you save 6 percent of your water heating energy by avoiding less heat loss through the skin of the unit. If your water heater was made before 1987, wrap insulation or a water heater blanket (available from hardware stores) around your water heater. Be sure not to block off vents or any thermostat controls or you may create a safety hazard. Proper insulation on your water heater can save up to $20 per year and return your initial investment in one to three years. (Water heaters built after 1987 are already well-insulated.) Do not wrap gas- or oil-fired water heaters. To minimize heat loss in water pipes, locate your hot water storage tank as close as possible to the area of most frequent hot water use (kitchen or bath). For extra protection against heat dissipation, insulate your hot water pipes. Fix that drip! Dripping, leaky faucets are more than just annoying; they're expensive. A faucet that drips one drop per second can waste 2,300 gallons of water per year as well as the electricity needed to heat it. If you're thinking of buying a new water heater, look into a high-efficiency water heater. It may cost more initially but you'll save money over time. Today, over 70 percent of Sussex Rural Electric Cooperative homes have air conditioners. But they use a large amount of electricity. On an average summer day, air conditioners provide enough cold air to produce 16 trillion ice cubes! Air conditioners are evaluated in two ways- by cooling capacity and by seasonal energy efficiency ratio (SEER). Cooling capacity is the amount of heat (measured in Btu) that an air conditioning unit can remove from the air in one hour. A 12,000 Btu air conditioner will remove 12,000 Btu of heat from an area every hour. As a general rule, 18 Btu removed per hour will cool about one square foot of a normal home. SEER is the number of Btu of heat that one watt of electrical energy will remove from the air in one hour. You should try to buy a unit with an SEER of 10 or above. To cool your house efficiently, your air conditioner has to be cool. So try to keep it in the shade. An air conditioner exposed to direct sunlight will use 5 percent more energy than a shaded one. -Turn the air conditioner off when you leave the house for several hours or more. -Set your home’s thermostat as high as possible - the recommended minimum energy-efficient summer temperature is 78 degrees Fahrenheit. -Care for the coils. If they're dirty, dusty or clogged with leaves, vacuum them with your household vacuum cleaner. If the attachment on the vacuum wont fit between the coils, reverse the airflow and blow the dirt away instead. -Don’t forget the filters. A clogged filter can cause an air conditioner to use up to 5 percent more energy. Permanent filters should be cleaned according to the manufacturer’s instructions. Disposable filters should be replaced at least once at the beginning of the cooling season. -Be sure to seal any cracks between the unit and the window. It is estimated that about 20 percent of all the electricity used in the U.S. goes into lighting. Although lighting your home probably doesn't account for 20 percent of your energy dollars, it still provides a very large area to implement cost-cutting energy measures. Long-life incandescent light bulbs can be less energy efficient than regular ones. They easily cost more in extra energy than they save on replacement bulbs because their “trick” is that they save energy by emitting less light than their regular counterparts. Unfortunately, you end up turning on another light and actually use more energy! Before buying light bulbs, check out the “lumens” rating on the package for actual lighting levels. -Dust on a light bulb can reduce the light it gives off by 10 percent and make it seem that you need a higher wattage bulb. -A white wall reflects 80 percent of the light that hits it, a black one just 10 percent. The more light the wall reflects, the greater the chance the light can be “recycled” by striking the wall, bouncing off and illuminating the room. -Opening curtains during the day will save lighting energy. Direct sunlight is 100 times brighter than light from a strong reading lamp. -Switch to compact fluorescent bulbs. They combine the versatility of regular incandescent bulbs (they come in all sizes and shapes) with the low energy consumption of fluorescent lights. Compact fluorescent give off the same light as incandescent, but with 75 percent less energy. They also last more than 7,500 hours - 10 times longer than incandescent. -If you replace an incandescent bulb with a compact fluorescent, you'll save the equivalent of 600 pounds of coal that would otherwise be burned to power the incandescent bulb over its useful life. -Compact fluorescent light isn't like the cool greenish-white light you're used to seeing in offices and schools. It’s closer to the “warmth” of incandescent bulbs. Compact fluorescent use an electronic ballast and come on instantly, but they don’t “hum” or flicker like regular fluorescent. -Compact fluorescent are expensive, costing $10 to $25 per bulb. But they use so little energy that they'll pay you back the purchase cost in a reasonable time. -Install compact fluorescent in lights that you leave on more than five hours a day. -Keep your refrigerator and freezer at the right temperatures. Even if they're only 10 degrees Fahrenheit colder than necessary, your energy consumption will go up an amazing 25 percent! Set your refrigerator between 38 and 42 degrees Fahrenheit and the freezer between 0 and 5 degrees Fahrenheit. -Make sure the door is tightly sealed. Check the gasket (rubber seal) for cracks and dried-on food. One easy way to test the seal is to close the door on a piece of paper and then try to pull the paper out. If it slides out easily, it’s a sure sign cold air is escaping. Another way to check is the flashlight test. Place a lighted flashlight inside the refrigerator, close the door and turn out the lights in the room. A leak along the seal will show dramatically. -Keep the condenser coils clean. Brush or vacuum them at least twice a year to make them more energy efficient. -“A full fridge is a good fridge.” It’s better to keep your refrigerator about three-quarters full because food retains cold better than air. But don’t overcrowd – cold air needs to circulate. -Put a lid on any liquids. This will reduce humidity levels inside the refrigerator, shorten the defrosting cycle and keep food moister longer. -Move food you need to defrost from the freezer to the refrigerator a day before you need it. This way, the frozen food helps to cool the refrigerator as it thaws, and gives the refrigerator’s motor a break. Every time you open your oven door during cooking, you lose 25 degrees - or more. Microwaves use around 50 percent less energy than conventional ovens; they’re most efficient for small portions or defrosting. Stovetop cooking is more efficient for larger items. Pressure cookers are considerably more energy efficient than regular ovens. -Use an oven thermometer to test the thermostat in your oven to be sure it measures temperatures accurately. Chances are, it doesn’t. If it doesn’t, replace the thermostat or use an oven thermometer as an accurate gauge. -Check the reflectors under your stovetop burners. The cleaner they are, the better they’ll reflect heat. The best reflectors on the market can save as much as 33 percent of the energy used when cooking on top of the stove. -Inspect the seal on the oven door for cracks. Even a small gap allows enough room for a lot of heat to escape. -Clean self-cleaning ovens right after use, to take advantage of residual heat. -And as obvious as it sounds, don’t operate the oven with the door open. A load of dishes cleaned in a dishwasher requires 37 percent less water than washing dishes by hand, if you leave the water running. But dishwashers commonly use water heated to 140 degrees Fahrenheit, which is hotter than any other water used in your home. -More than 80 percent of the energy your dishwasher uses is for heating water. Wash only full loads for increased energy savings. Also, use short cycles for everything but the dirtiest dishes. -If your dishwasher has an air-dry setting, choose it instead of the heat-dry setting. You’ll knock at least 15 percent (and in some cases as much as 50 percent) off the energy your automatic dishwasher uses. If there’s no air-dry setting, turn off the dishwasher after its final rinse and open the door. The dishes will dry without using any extra electricity. -Rinse dishes with cold water before loading them. -Install your dishwasher away from your refrigerator. The dishwasher’s heat and moisture make the fridge work harder. If you have to put them next to each other, a sheet of foam insulation can minimize the impact. The average American home washing machine is used 416 times a year. Washers and dryers can account for as much as 25 percent of the electricity you use in your home (including the hot water for the wash). Save energy by using the right laundry detergent. With today’s fabrics, many lightly soiled clothes can come clean even in cold water. Experiment with cold water wash and rinse cycles. For most clothes, the results will be as good as a hot water wash and warm rinse and you’ll cut your energy use in half. Each wash cycle uses 32 to 59 gallons of water. That’s as much as two showers. So set the water level in the washing machine to suit the size of the load – you’ll save both water and energy. Try washing on a “delicate” setting instead of “regular.” The motor won’t have to work as hard and will use less electricity. The energy efficiency of a clothes dryer depends on unobstructed air circulation around your clothes. So keep the lint filter and exhaust hose clean. Best advice: clean the lint filter after each load. Dry full loads, but don’t overload your dryer. Clothes need room to tumble so air can circulate around them. If your dryer has a moisture sensor setting, use it. It will shut off the dryer automatically when clothes are dry. Don’t add wet items to a load that’s already partly dry. Dry heavy and light fabrics separately. This way, all the clothes in the load will be done at once. Don’t leave the dryer on longer than necessary. Often, clothes are already dry, but no one runs down to the basement to shut the dryer off. Over-drying clothes wears down fabric in addition to wasting electricity. In the winter, vent your dryer inside. Use old pantyhose as a filter over the exhaust vent. You can also install a magnetic louvered vent to help prevent excess heat loss. Try a clothesline — it’s old-fashioned and energy free. Buy “no-iron” sheets and clothing and use the permanent press cycles on your washer and dryer. Remove your clothing promptly from the dryer and hang carefully. Many items won’t require ironing. Iron low-temperature fabrics first to reduce warm-up time. Prevent scorching and wasting energy by not overheating the iron. Hang clothes in the bathroom while you shower - the steam often smoothes wrinkles. If interrupted when ironing, be sure to turn off your iron. About 15 percent of the energy you use for heating your home goes to warming up air that leaks in through cracks. In heating terms, the gaps you can find around windows and doors are equivalent to a 3 x 3-foot hole in the wall. Caulking and weather stripping are two simple weapons you can use to stem this “great escape”. Caulk cracks that have no moving parts, such as places where a wall meets the outside edge of a window frame. Weather stripping uses cleverly designed strips of felt, rubber, plastic or metal to fill spaces between the frame and doors or windows. To determine where weather stripping is needed, hold your hand to various spots around window and doorframes some evening when your house is at least 20 degrees warmer than the outdoors. If a draft is felt, weather stripping is needed. Seal leaks around electrical switches and outlets. Gaskets are available that fit behind the switch plates and keep out a surprising amount of draftiness. You can install them yourself with just a screwdriver. There are no electrical connections between the plate screw and the circuit. But to be entirely safe, you can remove the proper fuse or turn off the circuit breaker before you start installation. Storm windows are the easiest way to reduce heat loss from your home. Window glass is only about one-eighth inch thick and conducts heat away from your living space. A storm window traps air between the glass and itself. This “dead air” space acts as insulation. If you want storm windows on your home, but don’t want the expense of installing conventional ones, you can make plastic windows which can be applied to the inside of your windows. On sunny winter days, open drapes to let the warm sunlight in; close them on hot sunny summer days to keep heat out. Install white blinds on the south- and west-facing windows to keep the sun from broiling your house in summer. The value of a fireplace as a heat source is deceptive. A burning fire causes a large flow of air through the hearth and up the chimney. The source of this flow is usually air in the house that has already been heated by a furnace. So, while a fire warms the immediate area through radiant heat, it is cooling the rest of the house by drawing out warm air through the chimney. If the difference between the indoor and outdoor air is 30 degrees or more, you suffer a net heat loss. -When using your fireplace, lower the house thermostat to 50 degrees. -Close off the room that has the fireplace from the rest of the house. -Install an efficient, freestanding, airtight wood or coal stove in your fireplace. -Install an air duct that allows outside air to be the source of air for combustion. -Close fireplace dampers when not in use to prevent heated or cooled air from escaping up the chimney. Wise use of thermostats can reduce your heating and cooling by up to 30 percent! During winter, you can save as much as 3 percent of the energy your furnace uses simply by lowering your thermostat 1-degree Fahrenheit (if it’s set between 65 and 72 degrees). In the summer, the process is reversed. You can save 5 percent of the energy used by your air conditioner for every degree you raise the thermostat (if it’s set between 70 and 82 degrees). -Keep your thermostat under control - 68 degrees Fahrenheit in winter during the day, 55 degrees at night. In summer, turn it to 78 degrees. -Check the temperature with a thermometer to make sure your thermostat is representative of the rest of the house. If it’s located in a drafty or sunny spot, you may be getting false readings and wasting energy. -Plug the hole in the wall behind the thermostat with caulking or sealant. To cut shower water use by 50 percent, just replace your conventional showerhead with a “low-flow” model, available from any hardware store. The U.S. Department of Energy reports that installing a low-flow showerhead cuts water heating costs by as much as 50 percent.With a low-flow showerhead, four family members taking five-minute showers each save 14,000 gallons of water a year. So, if only 10,000 families installed low-flow showerheads, we could save 140 million gallons per year. Reducing heat loss in winter and heat gain in summer are the most important considerations in managing energy in the home. The greatest loss is through the ceiling and roof. Conveniently, this is also the easiest area in which to install adequate insulation. Exterior walls and floors over unheated areas are also important to insulate. You can probably reduce your energy loss by 20 to 30 percent with additional insulation and as much as 50 percent if your home has no insulation. To stop drafts, try caulking! Every home has gaps where different types of building materials meet. By blocking these gaps, caulking can make your living space more comfortable. Get the most blocking power possible and do the job right the first time. Buy a silicone sealant with a long lifespan. Install electrical outlet gaskets to stop heat losses on the exterior walls of your home. Folks with modular homes should also install these gaskets on the walls where the pieces join. To be entirely safe you can turn off your circuit breakers before beginning this project. Cover hot-water pipes with insulation where they run through unheated basements, attics and crawl spaces. Also cover heating and air conditioning ducts with insulation in these locations. Aside from the obvious energy users - domestic use appliances, water heaters, space heaters, air conditioners and pool pumps - there are other energy “vampires.” An article from a recent Discover Magazine sited, “a study performed at Lawrence Berkeley Labs [indicated] that five billion watts of energy - roughly the amount produced by five power plants - leak from appliances in U.S. homes every year.” The article continued by pointing out that cable boxes use 20 watts of power when plugged in but turned off - and 21 watts when in use. TV’s consume five to 10 watts per hour when turned off. -If you have a seldom-used tv/vcr combination, unplug them. You save 43¢ per month on each combination. If the package includes a small dish receiver, the savings per month jumps to $2.15! -Look around your home. Electronic exercise equipment, fax machines, stereos and computers all use energy when turned “off”. If the plug is readily accessible, unplug them when not in use. All these small things can really add up – to substantial savings over a year.